This post covers 4 free overclocking software for Windows 10. These software help you overclock the GPU installed on your computer. You can see the details about your system and then tweak the overclocking parameters on it. And if your PC is running on high clock speed, then you can decrease that as well. And in the following post, I will talk about 4 such software that you can use on your PC. However, before using these software make sure that you have relevant hardware installed in your computer. If you play some heavy games on your PC then you can overclock your PC for maximum performance. Also, if you do other heavy stuff related to graphics like video editing and processing then these software come in handy. All the software that I have mentioned in this post simply show you the current settings and then you can tweak them according to your needs. You just have to use the different sliders to simply tweak the clocking parameters of the installed hardware. Note: PC overclocking is good if you want to achieve the maximum performance of your CPU and GPU. But you should keep in mind that overclocking utilizes more CPU and GPU as compared to normal use. And that’s why in overclocking mode, the hardware will release more heat which can cause hardware failure if there is no proper cooling system implemented. So, after overclocking, make sure that there is proper cooling environment around your computer. 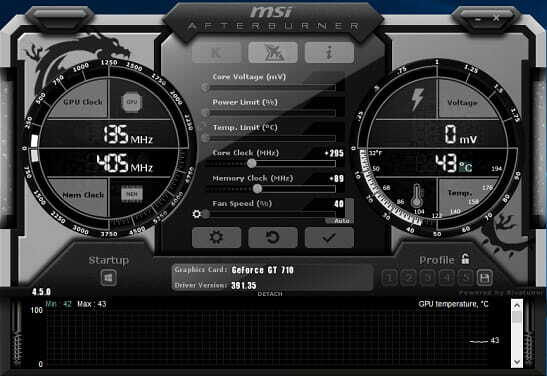 MSI Afterburner is one of the best free overclocking software ever created. The best part about this is that it supports all the Nvidia and AMD cards and help you tweak the overclocking parameters with the means of custom profiles. Here it lets you create different profiles and then you can opt to activate them on system startup. It lets you tweak the overclocking parameters like core voltage, power limit, core clock, memory clock, fan speed, and some others. You can simply tweak these parameters and then do whatever you want. As the software works with most of the cards out there, you can quickly start using it. Simply get it using the above link and then open it. On the main interface, it shows the current configuration of the installed hardware. And then you can use the different sliders corresponding to different overclocking parameters. You can create different profiles as well and then launch them when you need them. The options to create different profiles are on the bottom right side. EVGA Precision X also supports both type of graphics card; Nvidia and AMD. Just like the software above, it lets you see the current state of your GPU hardware and then it lets you customize that. It offers you an intuitive interface where you can see the current settings and then you can change them in order to get the most out of your GPU. Using this software, you can tweak, the base clock, memory clock, and the temperature parameters quickly. However, the options to change the temperature and voltage settings depend on the compatibility of the hardware with this software. Apart from this, here it also lets you create custom profiles to save the different settings. 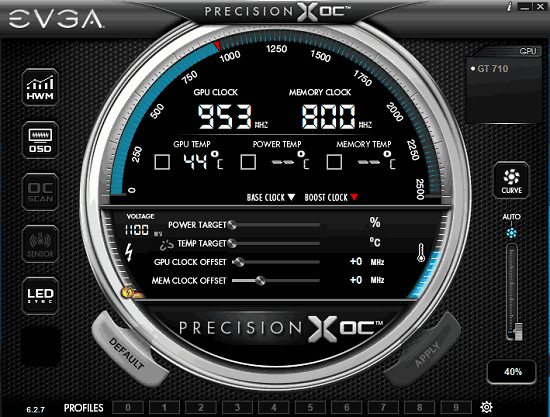 EVGA Precision X has digital clock like interface where you can see the current settings of your hardware and options to tweak them. After downloading and installing, simply run it and then change the clock speed parameters according to exactly what you need. You can use the different sliders corresponding to the different clocking parameters. Also, it supports custom profiles so you can use them if you need different clocking speed for different tasks. 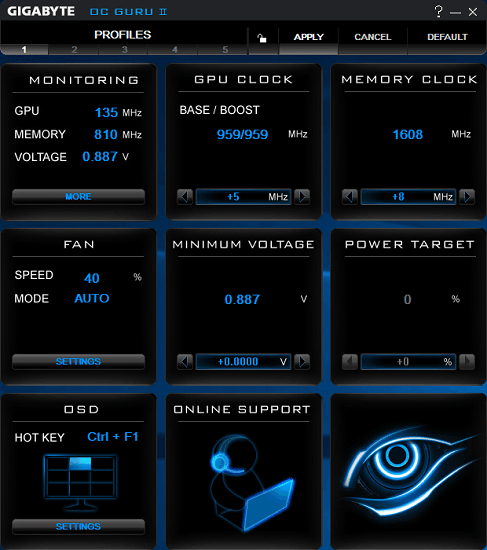 Gigabyte OC Guru is another free overclocking software that you can use on your PC. It helps you alter the shader clocks, fan speed, core voltage, and memory of the Nvidia Geforce cards and then change them back to normal whenever you want. However, some of the features of this overclocking software can only work with the Gigabyte products. Here it offers you a very simple interface to tweak the overclocking parameters easily. After ensuring that you have right hardware on your PC on which this software can work, you can use it. Simply download this software from the Gigabyte’s official site using the link above. After that, install it and then use it to overclock the GPU. The options to increase the clock speed and other parameters including voltage, power clock, ODD, memory target and some others. Simply set the frequency to any desired number and then simply save the changes. See the screenshot of this software on my PC. 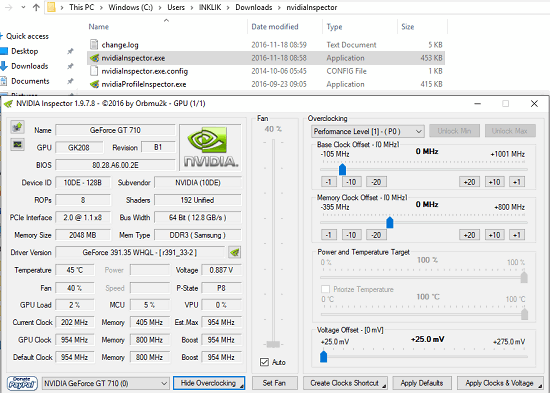 Nvidia Inspector is a simple software to overclock your graphics card to increase the overall performance. This software is dedicated for Nvidia cards and you can easily use it to tweak a lot of parameters easily. Here it shows you the whole insights of your installed hardware and then you can change those settings. It lets you change the base clock, memory clock, voltage offset, and the temperature parameters. This is lightweight and portable software that you can quickly use to overclock the video card and then revert changes that you have made. Simply get this software and then start using it right after downloading it. 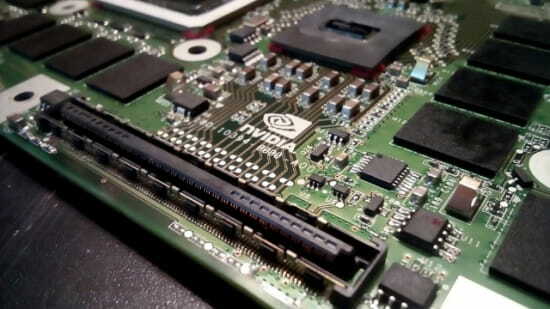 In its interface, you can see a lot of details about your Nvidia card. You can analyze your current settings like name, GPU model, version, memory type, bus width, current clock, GPU clock, default clock, and many others. Also, you can change these values easily using the different sliders that it show on the right side of its interface. After specifying the desired overclocking values, simply save the changes by clicking on the Apply Clocks & Voltage button and restart your PC. These are the best free overclocking software that you can use on your PC. You can use all these software to overclock the GPU of your PC to a extent. Also, using the same software, you can tweak the clocking speed back to normal. So, if you are looking for some free overclocking software for Windows 10 then this list will surely come in handy.